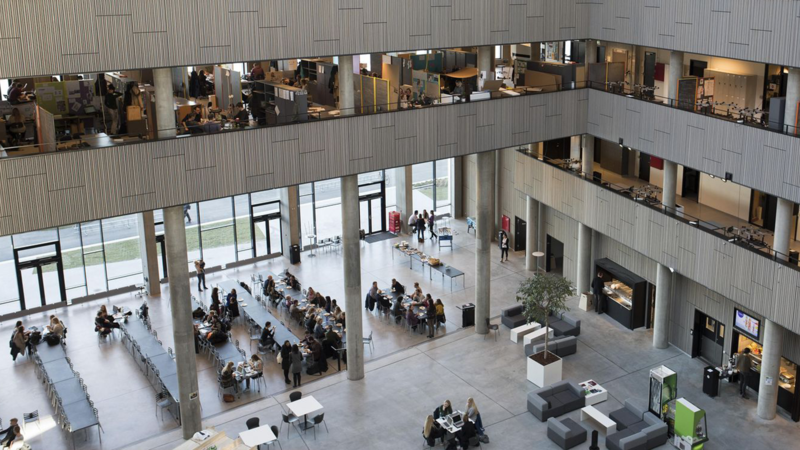 The RE:SOUND conference will be held at the CREATE Campus of Aalborg University, located in the heart of this great city in Northern Denmark. The city of Aalborg welcomes you! 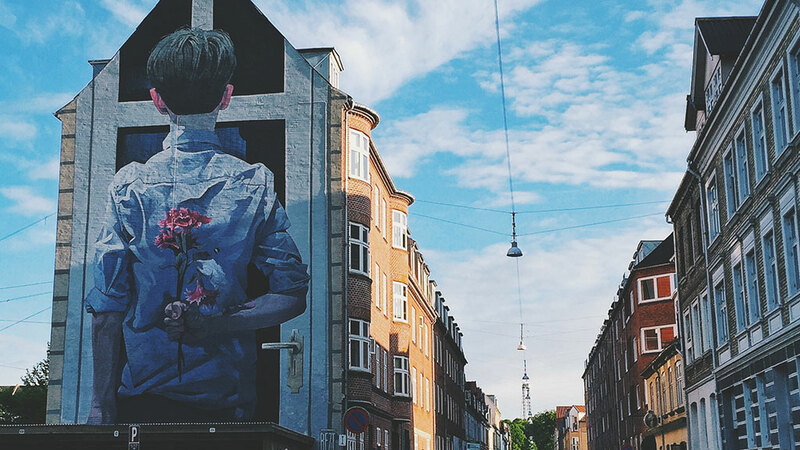 Aalborg is a city that boasts with interesting modern architecture, picturesque cobbled-streets, a park of singing trees that has been visited by everyone from Elton John to Bryan Adams, countless murals by international graffiti-artists, and much more. It is a uniquely Danish city with much to offer in terms of sights, sounds, and delicacies. August is on the tail-end of summer, and the weather should still be nice. But this being Denmark, you can expect wind and rain throughout the year (so pack accordingly!). While hopefully there will be a sunny day to enjoy the waterfront during the conference, just as likely it might be cold and cloudy. Aalborg has its own airport, located about 6km north of the city. It has plenty of direct connections to Copenhagen, London, Amsterdam, and Oslo. A taxi from the airport to the city center should cost around 100dkk. However, taking one of the frequently running busses directly to the city center is much cheaper at around 22dkk. 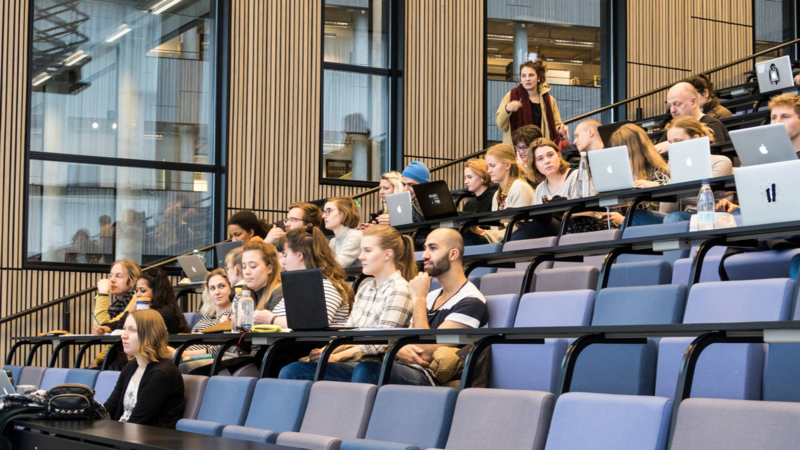 For more affordable alternative, you can also fly into Copenhagen, Billund, or even Hamburg, Germany, and take a bus or train to Aalborg from there. An alternative is to travel to Aalborg by train, with lines running from Copenhagen and other Danish cities, as well as from Hamburg, Germany. The train station is located in the Southern part of Aalborg, with the city centre reachable by local bus, taxi, or even by walking the short distance. 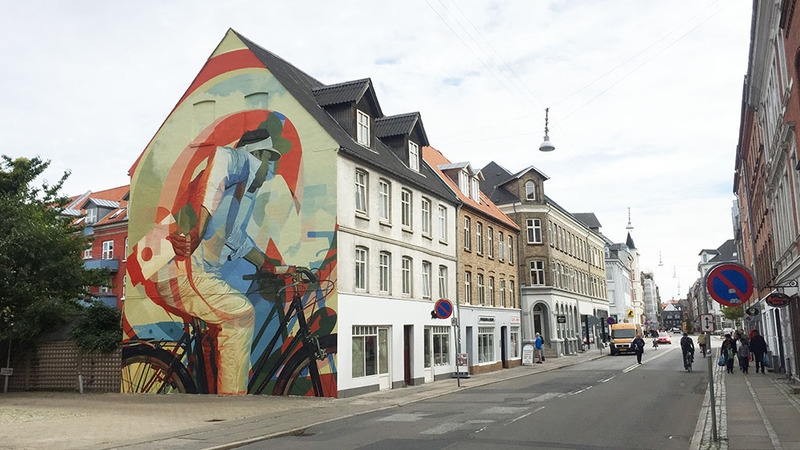 Aalborg can also be reached from most cities in Denmark, as well as from Germany, by bus. While this is a less comfortable option than the train, it is also considerably cheaper. The long-distance bus station is located one street over from the train station. The most affordable option is Flixbus. 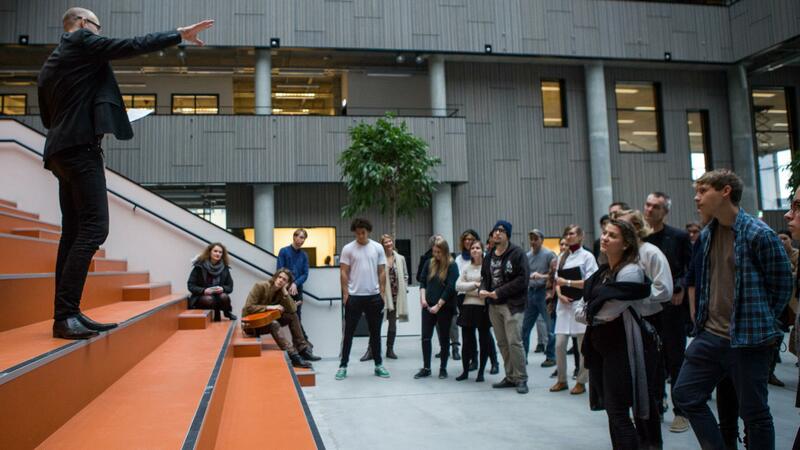 CREATE is a spacious modern building housing the Aalborg University Department of Architecture, Design, and Media Technology. It contains a large auditorium that seats 249 persons where the main keynotes and conference presentations will be held. 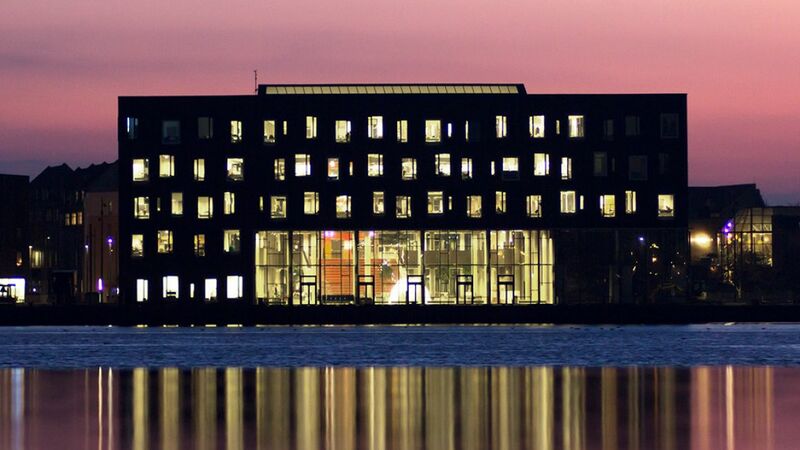 CREATE also consists of a large open hall with big glass front that overlooks the beautiful Aalborg waterfront and Limfjord. This area containing a canteen area where coffee breaks and lunch will be available. This area is part of the main hall where RE:SOUND art installations, as well as conference posters, will be exhibited. 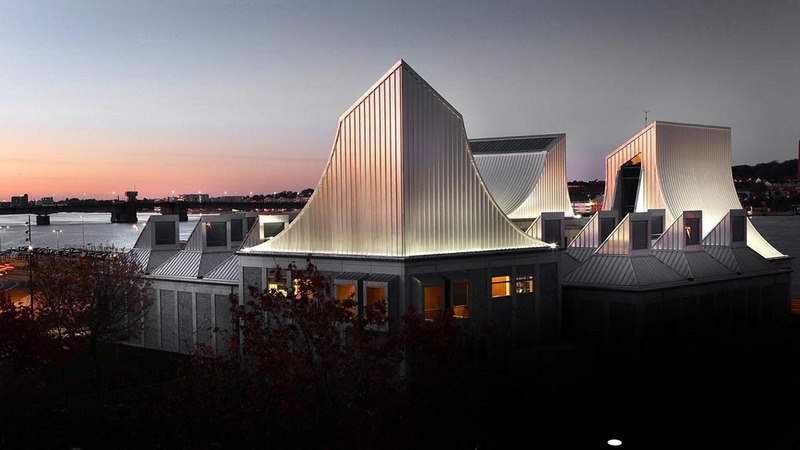 This campus is a rich and vibrant environment filled with creative students and student projects that will compliment the energy and excitement surrounding the RE:SOUND conference. 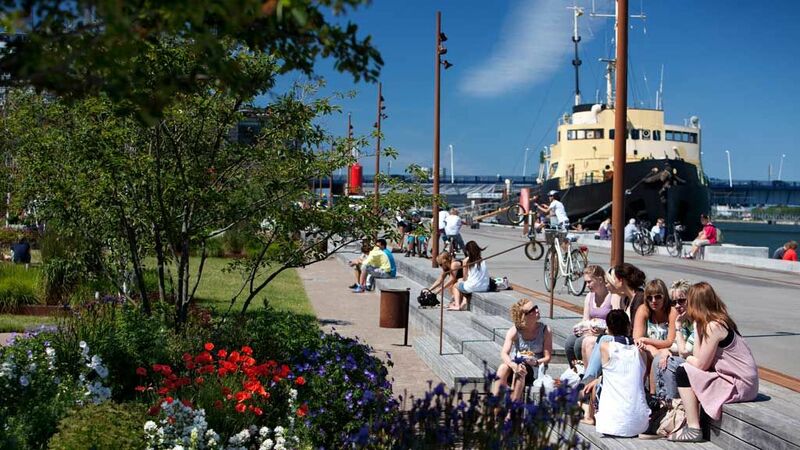 Aalborg is a city that it is easy and convenient to walk in. Yet it also offers a well-organized, easy-to-use, and efficient public transport system. Local busses run regularly throughout the city, past the CREATE campus, and even to other regional towns. A ticket generally costs 22dkk per trip and can be bought directly from the driver. You can use Google Maps to see local bus schedules, or plan your trips on Rejseplanen. 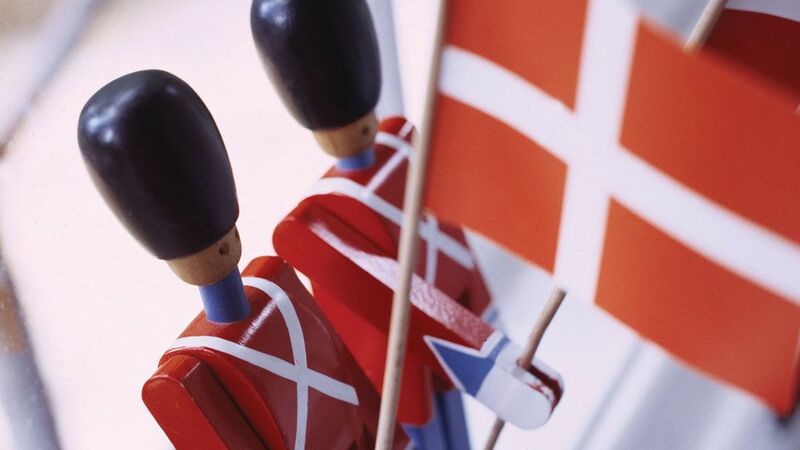 Taxi’s are plentiful in Aalborg and will cost around and you can order them by phone, online, or by app. Uber is also available in Aalborg for convenient transportation. Renting a car is not necessary to get around in Aalborg, as the city is relatively small. 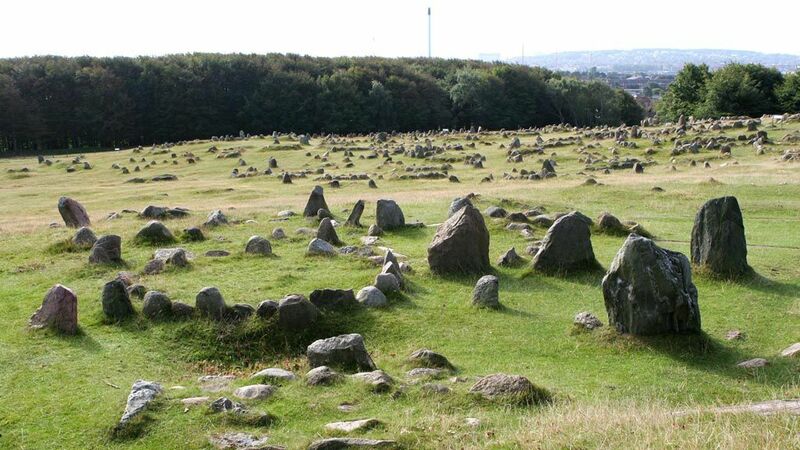 If you are staying outside of the city, it might be convenient, or if you want to extend your trip by drive out to see more of Northern Denmark. There are car-rental services such as Hertz, Avis, and Europcar at the Aalborg airport, as well as in the city itself. As you are in Denmark, a proud bicycle-nation, you might want to rent a bicycle to get around. The city is mostly level, making it effortless to get around. However, make sure that the weather will be suitable before committing to riding a bicycle. You can rent a bicycle from Munk’s Eftf, or use the Donkey Bike app to get around easily. To find out more about this, feel free to can contact Visit Aalborg.